ST DAVID’S HALL is winding the clocks back to the Swinging Sixties as the award-winning production Let’s Hang On comes to town on Saturday 17 September! Plus, this spectacular show takes you on the unforgettable musical journey of one of the most successful bands of all time – Frankie Valli & The Four Seasons. The 60s wasn’t just about The Beatles, the Rolling Stones and the Beach Boys as Frankie Valli & The Four Seasons had a back catalogue to rival the very best in the business. Huge hits like Bye Bye Baby, Sherry, Working My Way Back to You, December 1963 (Oh What A Night!) and Walk Like A Man are all instantly recognisable. Plus, they’ve conquered the silver screen too with memorable movie music including the theme tune to Grease, Big Girls Don’t Cry from Dirty Dancing and Can’t Take My Eyes Off You from The Deer Hunter. 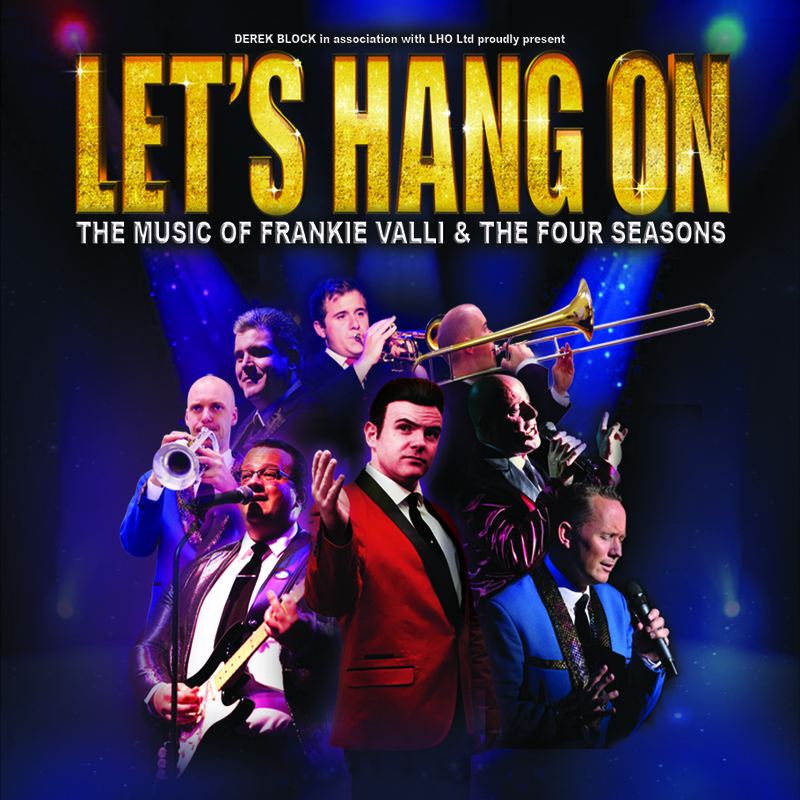 Get ready to embark on a nostalgic ride through all the classics starting in the early 50s when Frankie first joined the group, to their worldwide fame before climaxing with a spectacular finale of Let’s Hang On. This perfect production really is in a class of its own; even receiving a seal of approval from the man himself when the band performed with Frankie Valli at the Royal Albert Hall! Don’t miss Let’s Hang On – the ultimate tribute to Frankie Valli & The Four Seasons live at St David’s Hall! Tickets are priced £19.50, £21.50 and £23.50 (plus a £3.95 Ticket Service Charge per transaction and an optional 95p postage fee). Reductions of £1.50 per ticket for standard concessions and for groups of 10 or more.